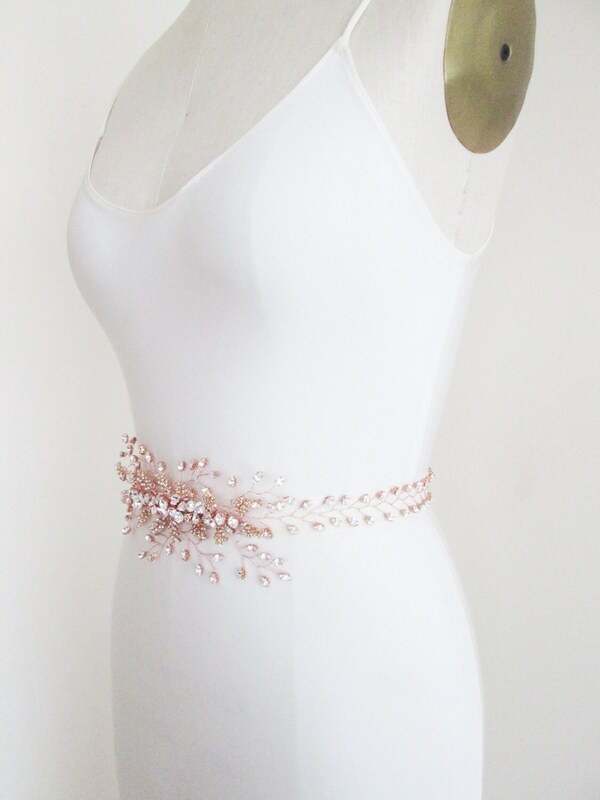 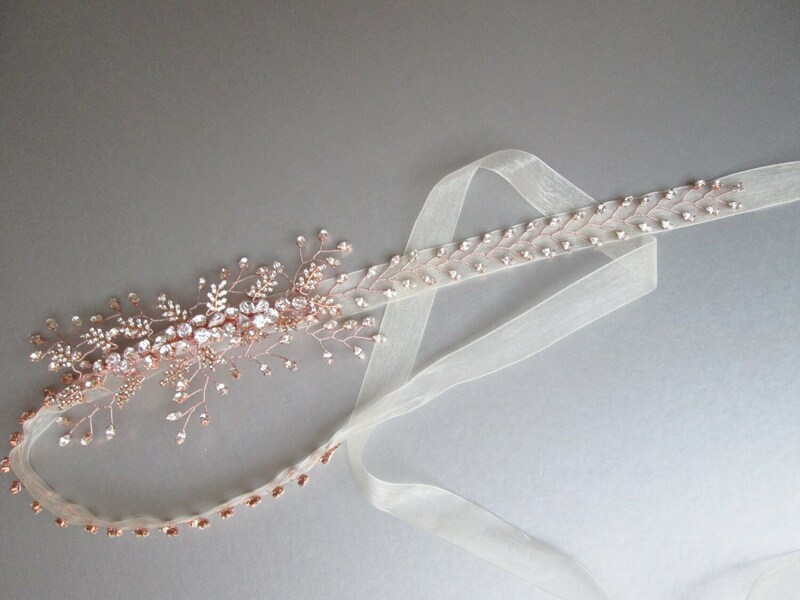 This delicate rose gold belt is made with sparkly Swarovski crystals and sheer organza ribbon. 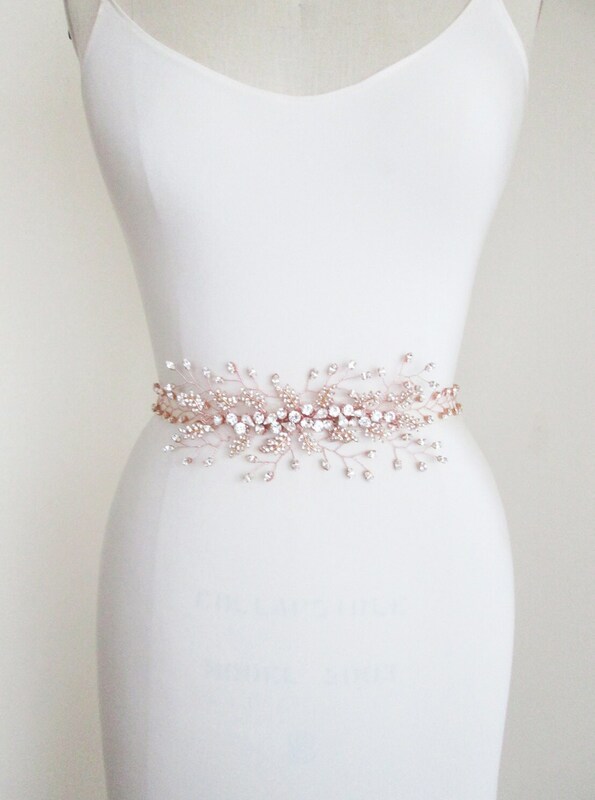 The crystal part of the belt measures 23" long and 2 3/4" wide in the center. 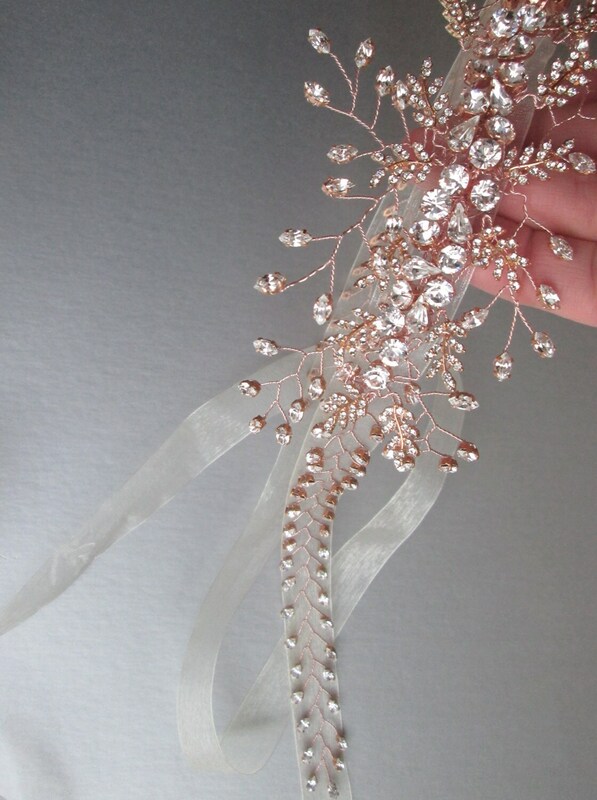 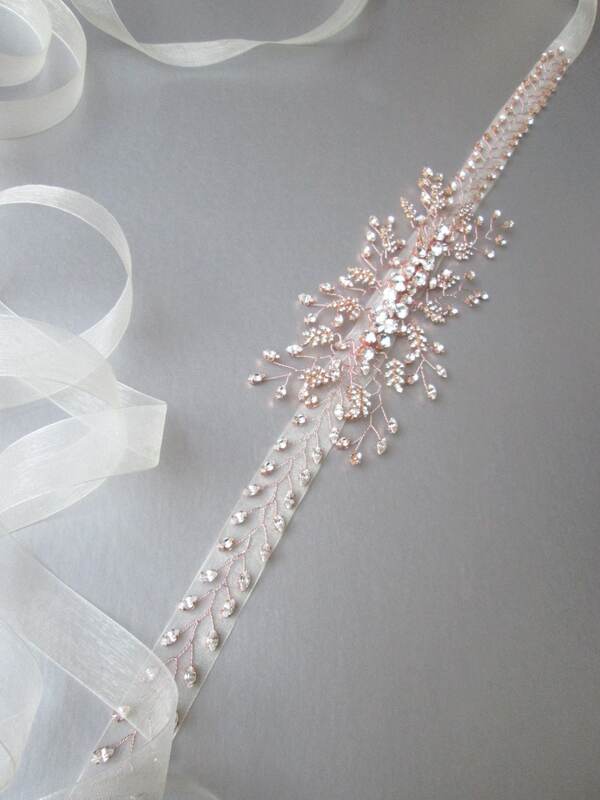 The crystal arraignment is appliqued on 1" wide organza ribbon ribbon measuring 150" long.